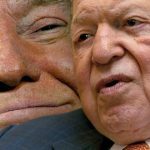 Questions over the US Attorney General’s alleged Russian connections have indirectly complicated casino billionaire Sheldon Adelson’s bid to ban online gambling in the United States. 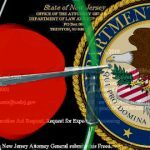 On Friday, Bloomberg reported that US Attorney General Jeff Sessions had recused himself from any discussion of whether to undo the 2011 Department of Justice opinion that allowed states to determine for themselves whether to allow their residents to enjoy online gambling from the comfort of their homes, so long as it didn’t involve sports betting. During his Senate confirmation hearing in January, Sessions (pictured) said he disagreed with that 2011 opinion and would “revisit” the opinion once he was sworn in as the country’s top law enforcement officer. But Sessions’ recent hiring of attorney Charles Cooper to steer him through congressional investigations of (among other things) Sessions’ role in the firing of FBI director James Comey has complicated Sessions’ involvement in the gambling issue. Cooper had previously signed up as a lobbyist for Adelson’s Coalition to Stop Internet Gambling (CSIG), which is pressing Congress to explicitly prohibit online gambling. 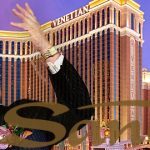 Adelson, who controls casino giant Las Vegas Sands, is a major financial contributor to Republican causes, including President Donald Trump’s 2016 election bid and subsequent inauguration shindig. Cooper told Bloomberg that he’d already completed his CSIG lobbying activity. Nonetheless, DOJ spokesperson Isgur Flores said Sessions would have no further input into any possible DOJ examination of the online gambling issue. 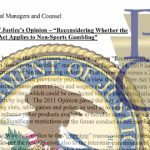 Sessions’ recusal theoretically delegates responsibility for overseeing the gambling question to Deputy AG Rod Rosenstein, a man with his own history of anti-gambling activity in his old job as US Attorney for the state of Maryland. CSIG has been relatively quiet of late, but word surfaced earlier this month that at least one pliant GOP congressman was attempting a stealth move to pass the latest version of Adelson’s anti-online gambling Restoration of America’s Wire Act (RAWA). The Competitive Enterprise Institute’s Michelle Minton reported last week that Rep Charlie Dent (R-PA) was trying to insert RAWA-type language into a congressional appropriations bill that must be passed by the end of September if America is to continue functioning (such as it is). 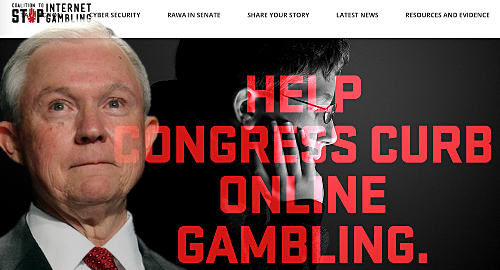 Congress has shown little appetite for bringing RAWA up for a vote in either legislative chamber, leaving Dent and his ilk to try a repeat of the tactics that led to the passage of the Unlawful Internet Gambling Enforcement Act (UIGEA), which was slipped into an unrelated port security bill in the wee hours of the final day of the 2006 legislative session. 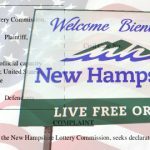 Dent’s home state is currently mulling whether to join the three other states – New Jersey, Nevada and Delaware – that have already authorized some form of online gambling within their borders. Any federal move to ban online gambling would likely result in these states filing suit to block the move or force the feds to compensate states (and their licensed gambling operators) for their loss of tax revenue.